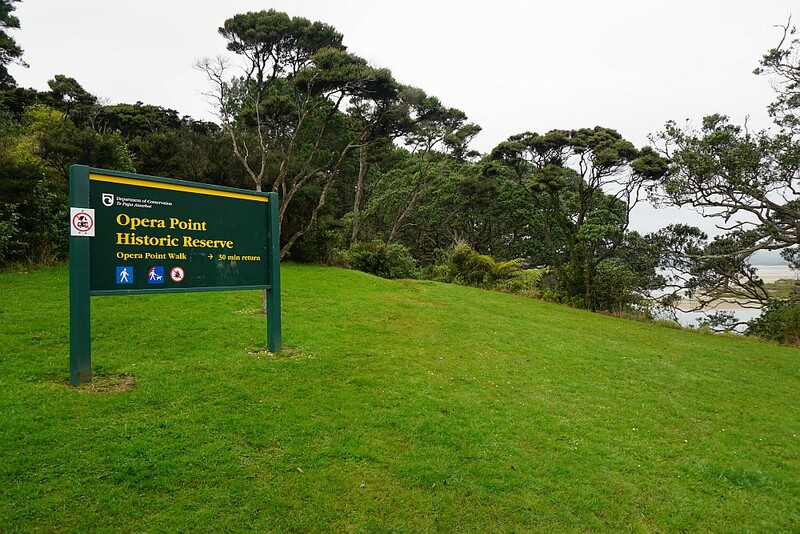 Opera Point Historic Reserve is located on a small peninsula on the south-eastern end of Whangapoua Beach on the Coromandel Peninsula. 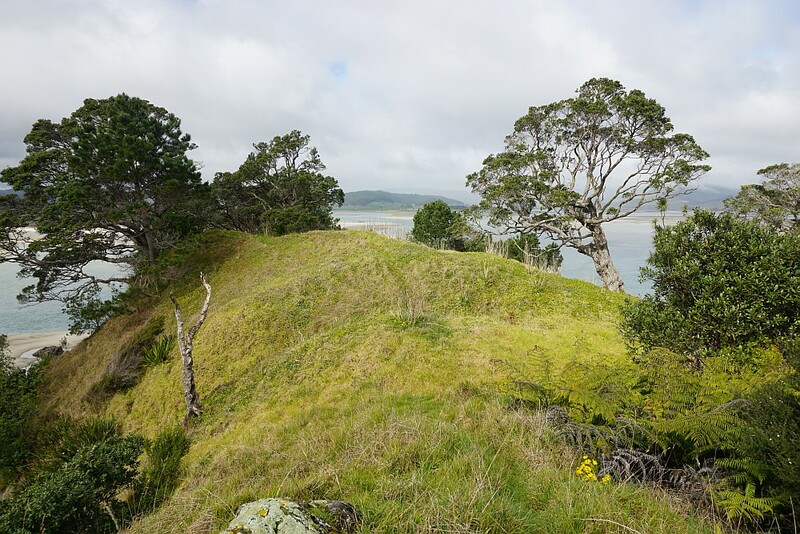 It includes the historic Raukawa Pa site, at 85m above sea level. 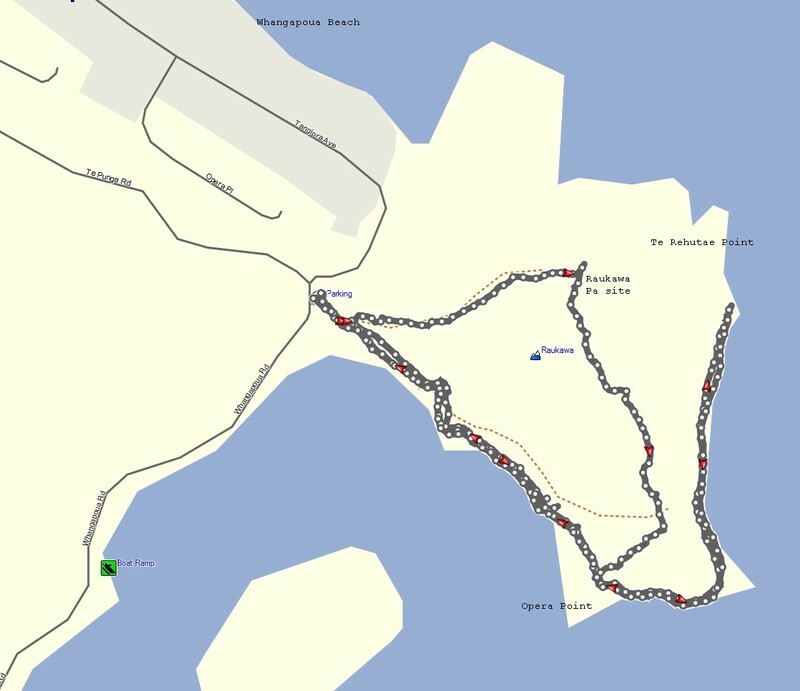 The only marked walkway is from the parking area on Whangapoua Road to the beach at Opera Point. 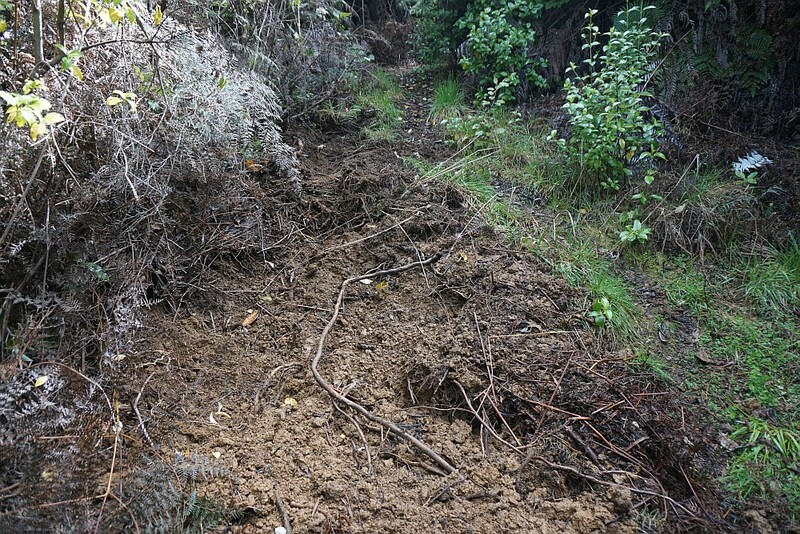 Another, unmarked, rough track leads from near the carpark to the pa site on top of the hill, and down to the beach. 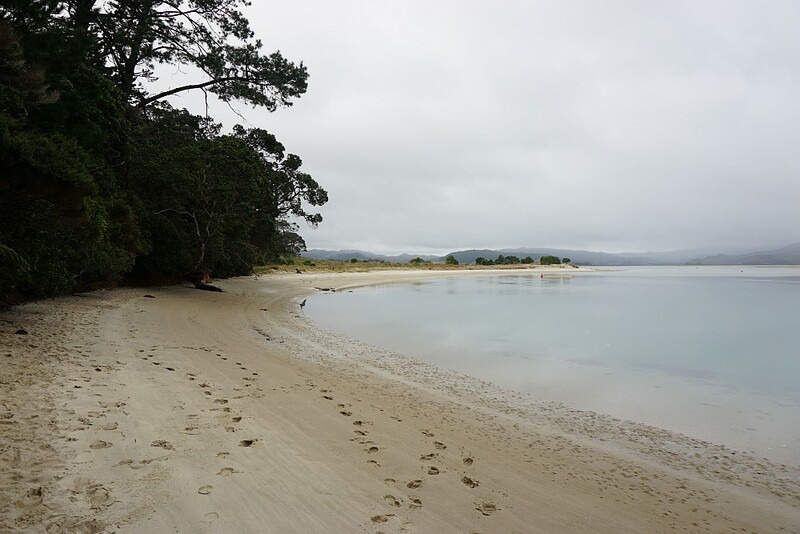 It’s possible to walk along the beach to Te Rehutae Point. 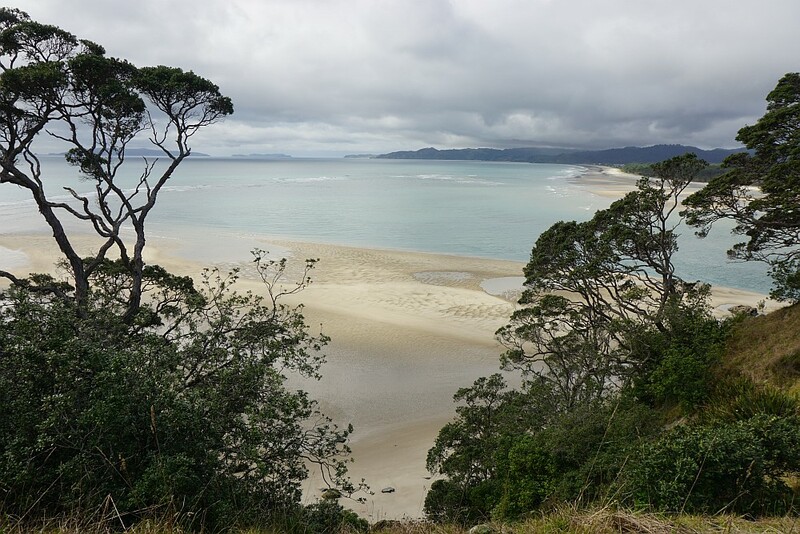 From the pa site there are views across the harbour entrance to Matarangi, and further out to sea. Since the track to the pa site is unmarked, and there are no signs indicating where the track is located, it took some time to find it. It was located only because of its approximate location being shown on the topographic map. It is not an official DoC track, but apparently there are plans to upgrade it. There are no toilet or other facilities at the carpark. Limited information on the track can be found on the DoC web site. More historic information about the peninsula and Craig’s Sawmill which was built there in 1862 is found on a separate DoC website page. 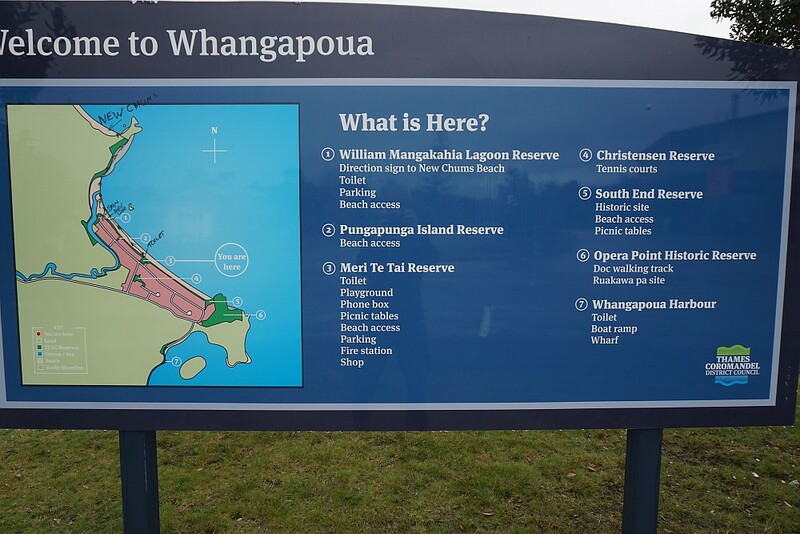 An information panel in Whangapoua has some incorrect or misleading information. The pa site is Raukawa, not Ruakawa as shown for location 6. And the DoC track follows the south-west coast of the peninsula, not where the reserve is shown. 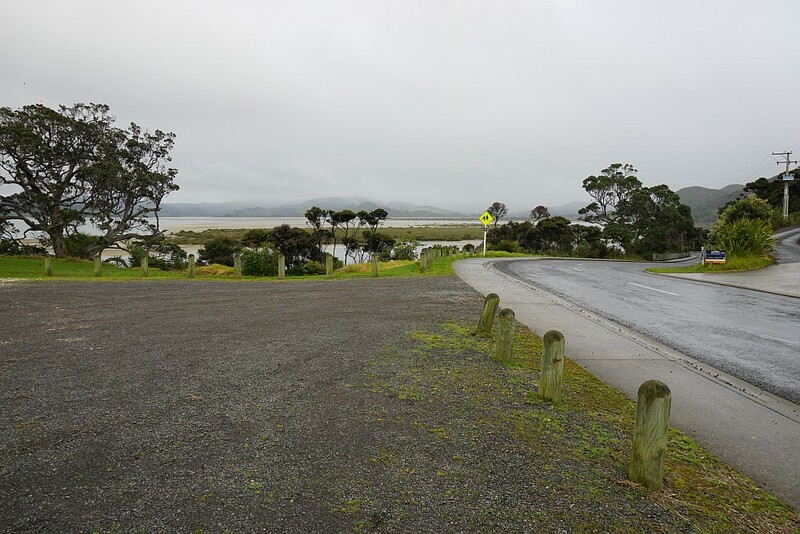 The parking area and Whangapoua Road, looking towards the boat ramp and Te Rerenga. The only sign, by the carpark, indicating the location of the reserve and the DoC track. The track starts at the centre of the photo, and apparently follows an old tramway to Craig’s Sawmill site. 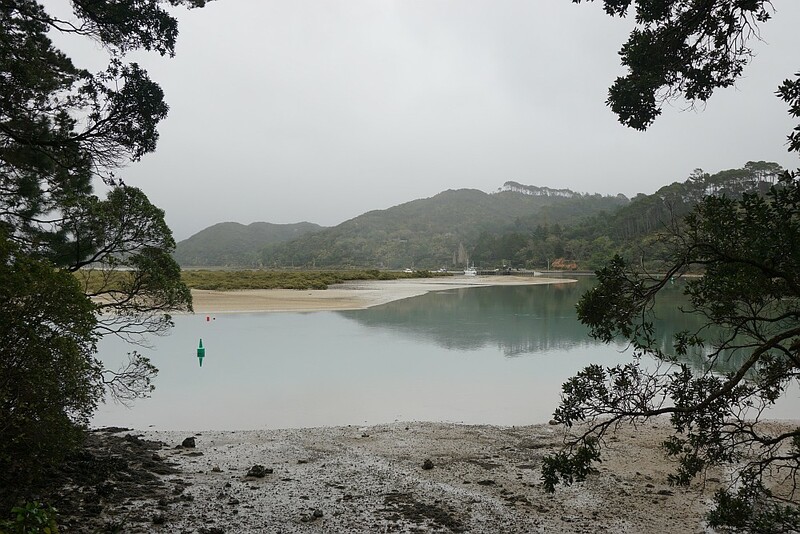 From the walkway, looking towards the boat ramp and Te Rerenga. The beach at Opera Point. 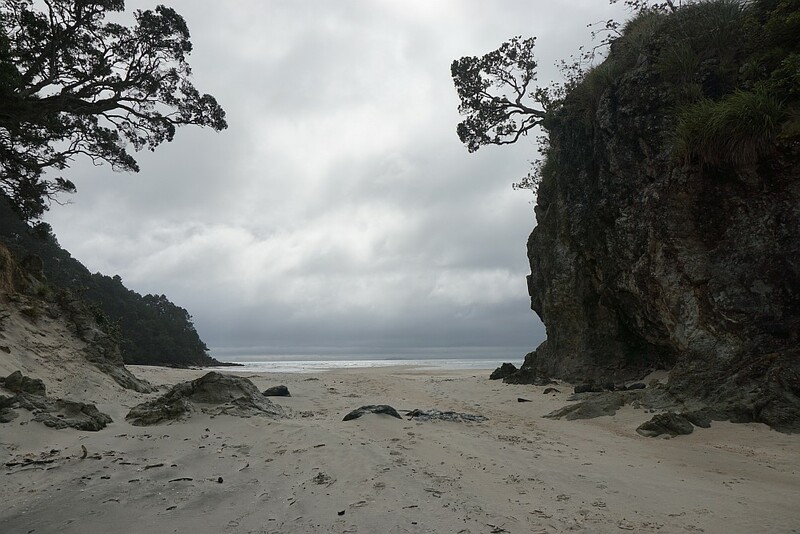 A sawmill was once located on the flat area at the far end of the beach. 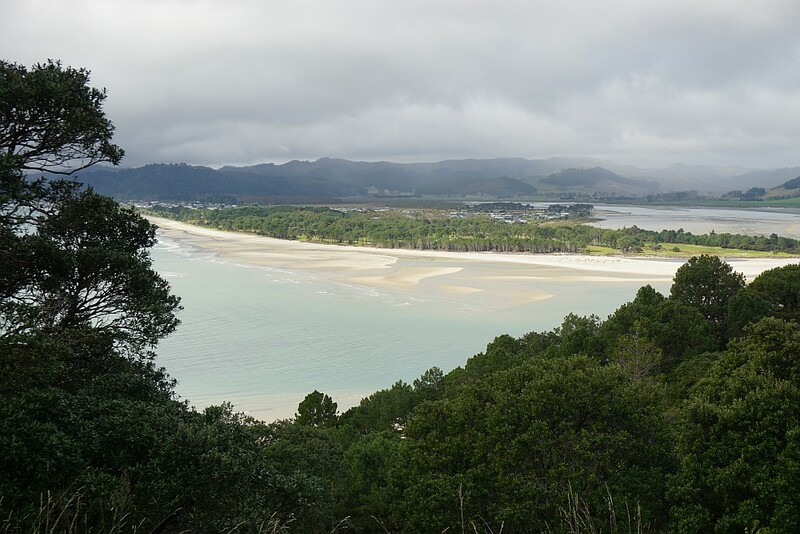 The south-eastern tip of the peninsula, looking towards Te Rehutae Point. Looking back from Te Rehutae Point. 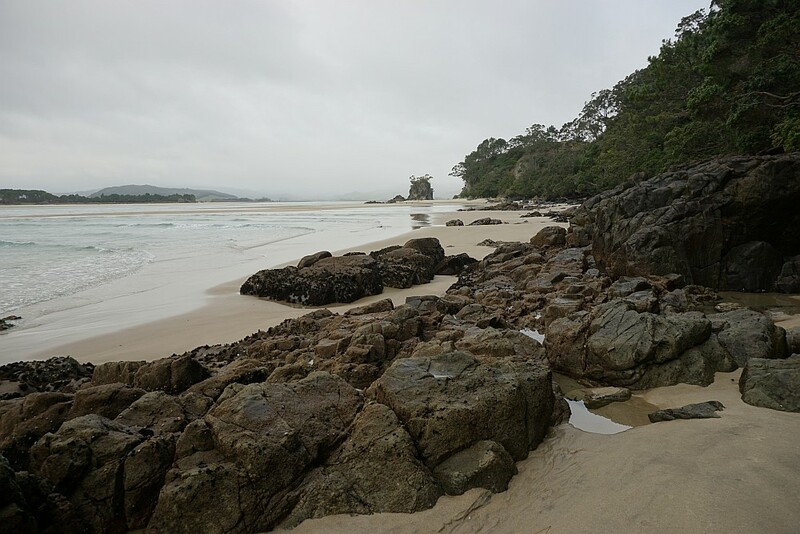 The rocky shoreline indicates that this is a suitable point to turn around and retrace the steps. 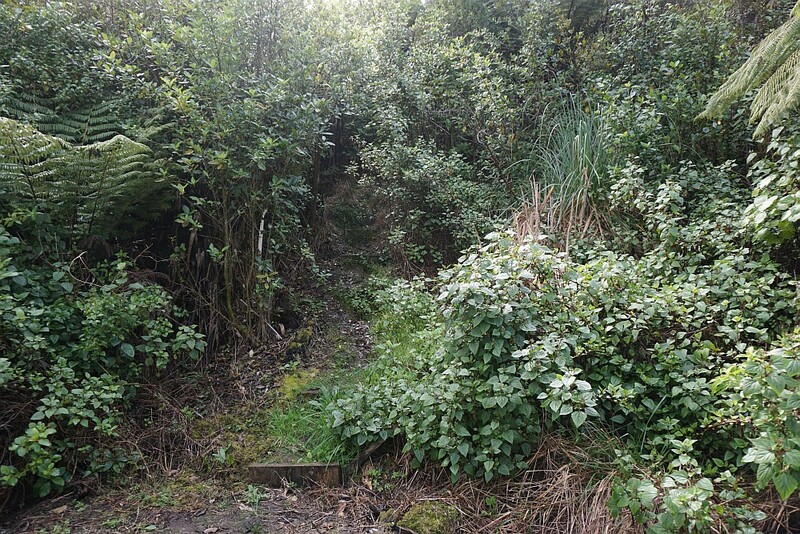 About 20 metres from the start of the track by the grass area at the carpark, this step is the only indicator for the track leading to the Raukawa Pa site. After extensive searching it was not possible to find the other end of the track by the beach. The track is mostly unmarked and quite steep. 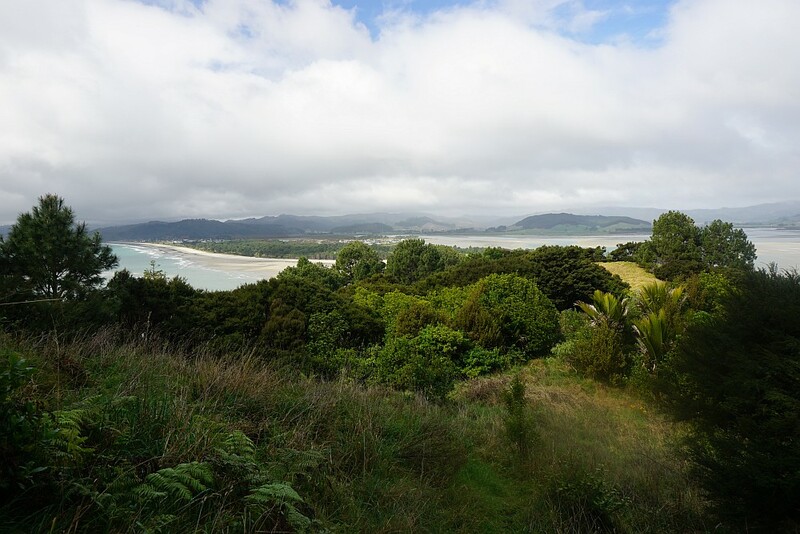 View from the pa site to Matarangi, with the golf course at the end of the Matarangi Peninsula. 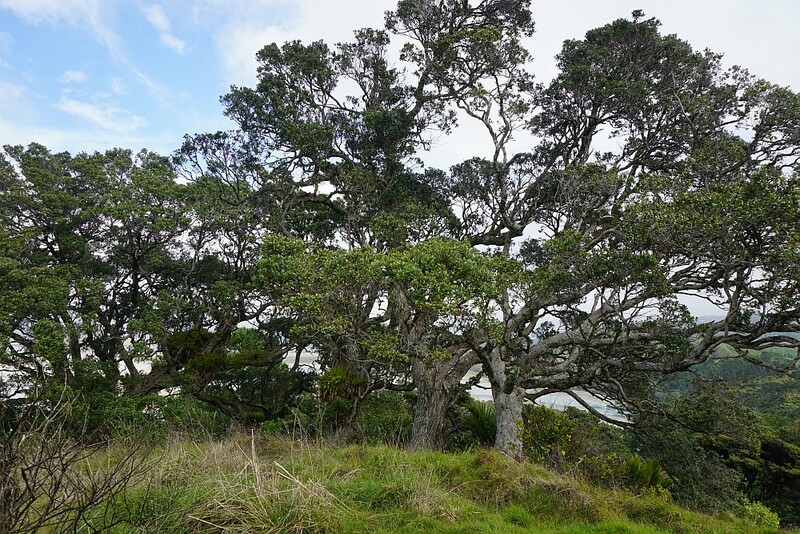 Old pohutukawa trees at the pa site. The unmarked track continues through the grass areas to the right and onward down to the beach. Wild pigs on the peninsula and in the reserve have been busy recently and have left their marks in numerous locations along the track. The pa site covers a large area. This view from a lower part of the site. The lower part of the pa site, with some defensive trenches clearly visible. Looking from the beach track, the track up to the pa site apparently runs on the hillside between the groups of trees at the centre of the photo. The only evidence of a track was that apparently someone or something had recently walked through the grass and weeds. The walk from the carpark to Te Rehutae Point and back, while searching for the track to the pa site, took about 40 minutes, for a distance of 2.6 km. The walk from the carpark to the pa site, down to the beach and back to the carpark, took about 35 minutes, for a distance of 1.6 km. 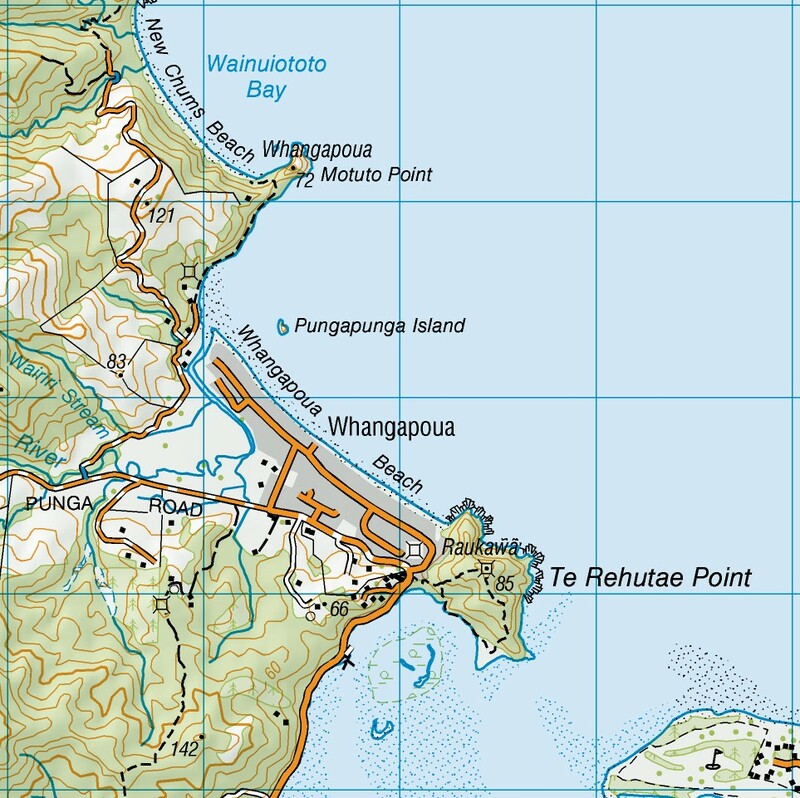 A topographic map of Whangapoua, showing the peninsula, pa site, and track. The tracks were walked on August 30, 2015. 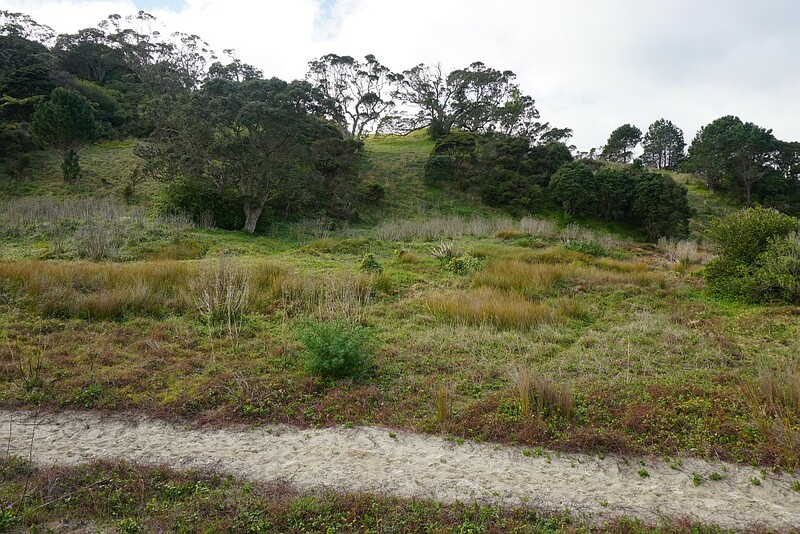 This entry was posted in Walks and tagged Coromandel, Opera Point, Raukawa, Whangapoua on 2015-09-03 by nzartig.